Today LG proudly announced they've supplied more than 30 million units of their entry-level LG KP100. That number of units pushed means LG have established nice positions at the foothills of the mobile market - the entry level segment has always been a significant part of the big picture. The KP100 was released first in India and Latin America back in January 2008 and soon after that it had spread worldwide. It has both GSM and CDMA versions. Its popularity continues to grow every month and LG released the similar KP105, KP106, KP107 and KP108 as an attempt to offer a richer variety of connectivity, design and colors. Thanks to those editions KP100 is available in three distinct designs and fifteen different colors. 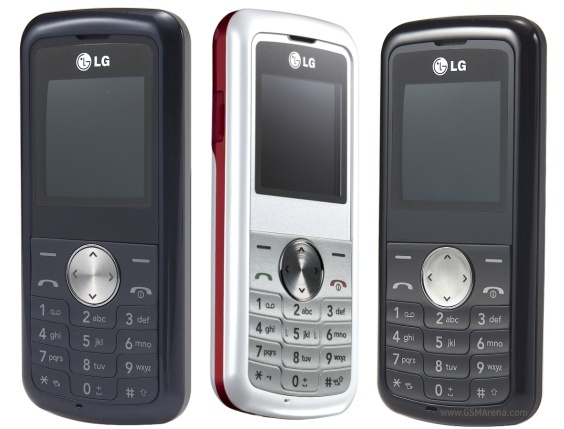 Today the LG KP100 has reached the mark of 30 million units sold - 20 millions of the GSM version and 10 million of the CDMA one. The handset has been on the market almost two years now and along the penny-sized price tag it offers a compact body with only 12.6mm of thickness and a small display plus an FM radio. This LG announcement follows those for the reaching of the one millionth mark of the KM900 Arena and the 5 millionth mark of the LG Cookies. Well, to be honest the Nokia 1100 probably did even better for its four years of availability and still wears the crown of the world's bestselling phone with more than 200 million units. To add a little bit more perspective we'll add the 100 millions of all the RAZR varieties out there and 120 million PlayStation 2 consoles. And let's not forget the original Chocolate - a real break for the South Korean company with over 10 million sold around the globe. LG definitely made a serious step to strengthen their positions into the mobile market and their handsets become more and more popular. The low-end segment is a real morsel with a huge number of potential customers. Perhaps this 30 millionth mark of the cheap KP100 may not be as impressive as the 1100 success, but it show the strengthening market positions of the LG. Tell us what you think in the comments section - do you have one or even several of those KP100s?